Order in 12 Hours 32 minutes 17 seconds for dispatch today! The original technical base layer. The Lifa® white stripes are recognized by professionals, core athletes and enthusiasts around the world. Designed for all sports all year. HH Dry works as your second skin, and is the heart of our 3-Layer System. 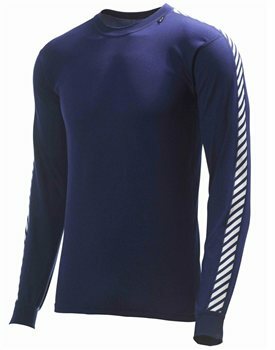 Lifa® Stay Dry Technology™ makes this a versatile and adaptable baselayer for all conditions. The close body fit enhance moisture transportation during high intensity activities, making HH®DRY™ the perfect year-round insurance for you to perform at your highest level. Wore it for three mountains - great wicking effect.